I wake up and make a mug of tea while listening to the morning news. After I feed the dogs and make a quick breakfast, I find a sunny corner to setup my portable stand-up desk, crack open my laptop, and get to work. And that’s what my work week looks like! This is my job! For me, it’s a dream come true. No hours of commuting, stressing about traffic, packing a lunch, feeling stuck in a cubicle, developing a Vitamin D deficiency, or listening to the dull hum of fluorescent lighting. Some LOVE the structure of office life, I thrive in the remote office. It seems pretty unbelievable to get to control your own schedule, work where you want, and hold down an amazing job without handcuffing yourself to a cubicle. Those are a lot of benefits! Even so, a lot of my friends don’t seriously consider getting a flexible job of their own because they worry it will lack…well…benefits. And it’s true: if you confine your job search to only jobs that include benefits, a remote contract or a freelance gig may not fit the bill. And when I say “flexible job” in this article, I mean: a remote job, a part-time job, being self-employed, freelancing or any other job arrangement where you have greater autonomy over when and where you work than in a traditional full-time job. But choosing a flexible work situation does NOT mean you have to put yourself at risk. A little advanced planning and knowing what to look out for can make your transition to a dream flexible job smarter, safer, and completely doable. You can have BOTH flexibility and security, and this article will show you exactly what you need to do to get it. Before writing this article, I wasn’t entirely sure what a job “with benefits” meant, so I did some digging and deciphering for you. And to make matters slightly more confusing, while most of us think “full-time” means 40 hours a week, it’s up to employers to determine what constitutes a full-time employee, according to the United States Department of Labor. It’s usually somewhere between 30 and 40 hours a week. But when we say “benefits,” we’re usually thinking about health insurance too. Under U.S. law, companies with 100 or more full-time employees are required to provide affordable health insurance coverage. And in 2016, small businesses with 50-99 employees will be required as well. “Full-time employees” for this purpose means working more than an average of 30 hours per week or 130 hours per month, according to the U.S. Government site, BusinessUSA. In other words, a job with benefits simply means there are “safeguards” for when things go wrong on the job (you get sick or hurt) or for when you are not working, whether that is by your choice or your employer’s. An employer can add perks like food and fun, but that is an employer’s choice. When you work in a job situation that doesn’t include traditional benefits, you just assume part of these responsibilities yourself. For example, rather than your employer paying for your Social Security through taxes, you pay Social Security taxes yourself. What does it mean to work in a job without benefits? Quite often, a flexible job doesn’t just get you a change of scenery. Many flexible positions look a lot different on paper too. The employment contract that you sign might be different, if you even sign a contract at all. You could have a full-time job at a company with less than 50 employees, such as a remote position at a startup. You might be a contract worker who agrees to work on a certain project. Maybe you still work, say, 38 hours a week and earn a full-time income, but in this situation, your employer might not be responsible for providing benefits. You might also own your own company, in which case, you’re the boss, boss! You’re self-employed, and that means you’re responsible for your own benefits. Or you could be a freelancer working on a lot of different projects. Just like the the business owner, you’re self-employed and covering your own benefits. And you could always end up working part-time in a remote job. Just like your after-school job in college, part-time work probably doesn’t come with benefits. The way I see it, you trade in some of that security blanket for the freedom and flexibility that comes with remote work. 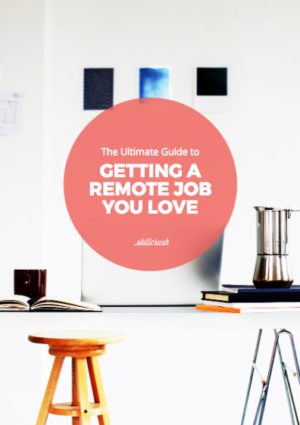 For lots of people I know, that makes a remote job sound just plain risky. But I think it’s merely a matter of perspective. I think that the way we work is changing. This isn’t the same world where you took a job at the local factory at 18 and retired at 65. This is a world where you might take some time off to travel and volunteer before or after college, so you’re 24 or 25 before you get your first “real job”. And it’s also a world where the economy is uncertain, work is more fast-paced and demanding than ever, and with 53 million Americans (34%!!) freelancing, traditional jobs and working situations are no longer the norm. You probably don’t want to think about it any more than I do, but nowadays, everyone’s job is uncertain in one way or another. Not to be a Debbie Downer, but I don’t imagine all of those city employees in Detroit expected to see their pensions cut, no one planned for the housing bubble to burst, and who knows what healthcare and health insurance is going to look like in 20 years? But the good news is there are things you can do to balance that uncertainty. You don’t have to choose flexibility or security — there’s a way to have both. There are different kinds of security. Making traditional job benefits less of a priority does NOT mean throwing caution to the wind. Working without benefits doesn’t mean being a total renegade or ignoring a certain U.S. law requiring everyone to get insured! It just means putting some time and energy into weaving your own safety net. I think of it as setting up a personal benefits package. This way, no matter what your working situation (traditional benefits included or not! ), you’ll be ready. Here are 13 ways to create your own safety net in this new world of work. Employee benefits packages might not give you a ton of options, but when you’re on your own, you have to take some time to figure out what kind of security you need most. Do you NEED a dental plan right now, or have you been blessed with a great set of pearly whites and are a diligent brusher and flosser? And do you need free glasses if you’ve got 20/20 vision, or travel insurance if you always stick close to home? Who’s in your family (and what kind of benefits do they need or already have)? Which hobbies and interests are important to you? This means that if you’re a 50 year-old single woman in a big city who’s into sports and takes around-the-world trips, you’ll be looking for very different benefits than a 30-year-old married man in a small town who has two kids and some ongoing health issues. 2. Look into COBRA coverage. COBRA is kind of like the gap insurance of healthcare. If you lose your job (and job-based benefits! ), COBRA can keep you covered while you transition. 3. Consider a group healthcare plan. Sure, you’re branching out on your own, but going rogue doesn’t have to mean going it alone. Even if your new flexible gig doesn’t come with traditional benefits, you might qualify for a group plan in your industry. “See what there is for professional, business, and trade group coverage in your profession. 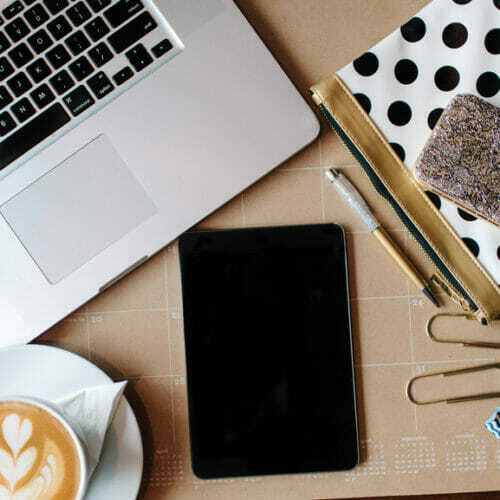 The Freelancers Union, Chambers of Commerce, the National Association for the Self Employed, and other groups often can help with group healthcare plans for freelancers and part-time workers. And of course, the Affordable Care Act offers online insurance markets,” says Reynolds. Even if your new flexible job is not structured with full-time benefits, your boss might be willing to negotiate with you “a la carte.” Maybe your company offers a 401(K) plan, and you even though you are going to be a part-time employee, you’d like to participate. Ask! 5. Get a handle on your finances. Even if you love your new flexible gig, the main reason you have to have a job in the first place is money. Cash, greenbacks, cabbage. And it’s also one of the things that you’ll need to start taking charge of yourself. Having your finances under control and a plan of action in case trouble hits will give you some leeway as well as prevent a lot of sleepless nights! Go through your bank statements, credit card statements, and cash receipts and make a note of where your money goes – daily, monthly, and yearly. This will give you the best picture of your spending and make sure that you have the facts you need to make a solid financial plan. Remember to also account for putting some money away for unexpected emergencies (like car repairs or health hiccups), long-term projects (like home renovations or dream trips), and, of course, retirement. The last point is especially important in today’s world when you might want to skip the company’s 401(k) plan in exchange for investing your money in a way that feels more comfortable to you. 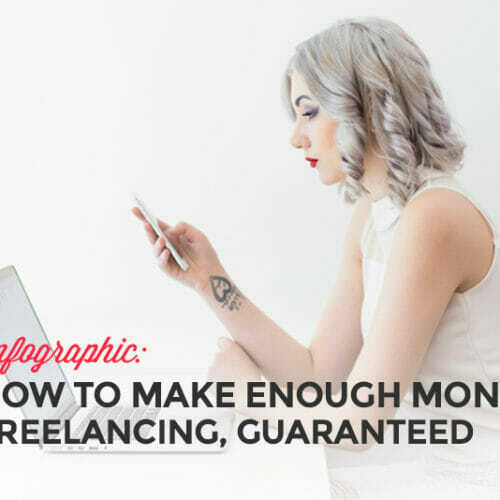 If you need a more robust resource for figuring out your expenses (and how much money you need to make to balance your books) as a self-employed worker, check out The Ultimate Guide to Charging For Freelance Work. And don’t sell yourself short when it comes to your salary or your benefits! Just because work is different now doesn’t mean you have to settle for less. 6. Consider opening a healthcare-specific savings account. You can’t plan for the unexpected, right? That’s the whole point of insurance. It’s there to catch you when things hit the fan. If setting up your budget and getting insurance on your own doesn’t give you enough peace of mind, you could always open a tax-free Health Savings Account (HSA) specifically for covering health expenses. 7. Keep up your skills—and learn new ones. Keeping your skills up-to-date and expanding them is a sure way to stay at the top of potential employers’ short lists and get more pay. So if you have a remote job in marketing, it’s a good idea to stay on top of growth hacking and data trends. And if you are a freelance web developer, it’s always a good plan to stay well-versed in the latest frameworks and industry news so you can tee yourself up for the best gigs in the future. Read relevant sites, blogs, and books, to stay in the know in your industry, or commit to learning something new. With so many educational options now, you don’t have to go back to college (and back into debt! ), and you might even be able to write your classes off on your taxes. You could also see if your employer will fund or include you in professional-related training as one of your benefits. Whether it’s a comprehensive online course like a Skillcrush Blueprint to learn how to master the company’s WordPress site or a subscription to an industry journal, investing in increasing your knowledge always pays back in the long run. Staying in-demand means you won’t have to worry as much about job security in the first place. I’m not talking traditional literacy here. (Of course that’s absolutely key too, but I’m assuming you’ve got that covered if you’re reading this post.) I’m talking about the new literacy—tech skills. For almost every job you might have today or are hoping to have in the future, tech is sure to be a part of it in one way or another. And the demand for people with technical skills is only growing. Even President Obama is launching an initiative to train more qualified workers to fill the demand for job candidates with tech skills. By arming yourself NOW with knowledge about and experience with things like design, HTML, CSS, content management, and programming, you’ll be infinitely more prepared, whether you need to change companies, change careers, or start freelancing. And you’ll also be much more in-demand, which we’ve already established is key to job security! Not to mention, you’ll also have the chance to follow your passion and do a job you love, the way you love. Of course following your passion can make your working life significantly more fun and enjoyable. 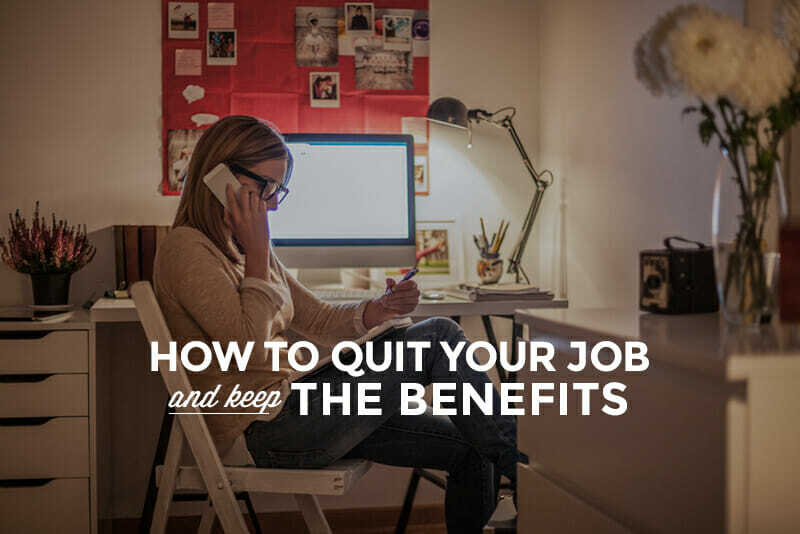 But it also ensures that you’re less likely to suffer from the boredom and lack of purpose that makes too many people have to deal with in jobs that aren’t right for them. And unhappiness and stress in the workplace can lead to burnout, which in turn can start a ripple effect that impacts your health, your finances, and your security. In fact, a FlexJobs survey found that the top 4 reasons for changing careers are work-life balance, a desire for more meaningful work, stress from their current career, and money or cost savings. Whether we like it or not, our work situation, physical and mental health, happiness, and financial stability are all entwined. Staying happy, stress-free, and fulfilled at work can also mean staying gainfully employed and staying OUT of that healthcare savings account. A better tactic is to stay in regular contact with your peers and possible employers or clients. Staying active and making yourself well-known in your industry gives you a wider pool of job prospects if you do happen to lose your job or need extra work. A network of people in your industry can also save the day if an unexpected health crisis or personal issue does interrupt your work (and income stream) and you need someone to fill in for you on a project. And you can build those relationships in ways are interesting, provide the chance to meet new people, and will improve your career skills in any case. So, join a professional organization. Go to meet-ups. Attend local workshops. Participate in far-away conferences (Woohoo for working vacations!). Or just get to know people in online communities or on social media. You never know where you’ll meet your next boss or client! 11. Chase companies, not job listings. With your network in place, you can approach a job search from a different perspective. Forget mindlessly sifting through pages and pages of job listings hoping to find one that is an exact match with your past, present, and future. Decide on the company or type of company (or client) you’d like to work for and go after that. If you know how to approach a company and show how valuable you can be to them, your whole world won’t be shattered if that position you were qualified for dissolves in the next 10 years. If your dream company isn’t hiring in your field or at all, you can take matters into your own hands by creating your dream job. In other words, come up with a position that matches your own background, skills, and potential. Approach a company or client by sharing everything you can do for them, rather than trying to fit into a job description. This is the pattern: Get a job, lose a job, panic, update your social media, start a blog, network frantically, repeat. Part of the reason it’s so scary to suddenly lose a source of income is that you’re usually not set up to start looking for jobs immediately. Your resumé hasn’t been updated for 2 years, your LinkedIn is looking skinny, and you haven’t been keeping in touch with old contacts and coworkers. Paying attention to your public persona on a regular basis can do a lot when it comes to weaving yourself a safety net. Say you have a health crisis and need some side work, stat. 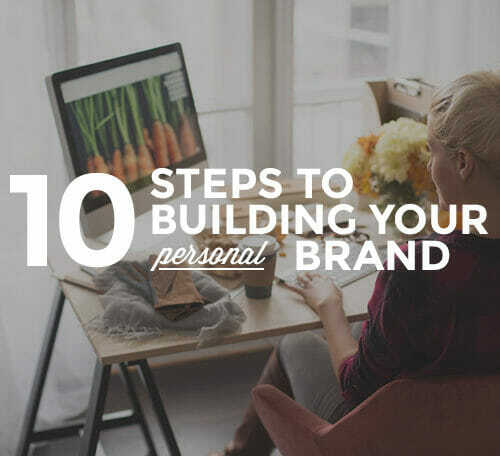 A strong online presence will make that 10x easier. Sure, taking a part-time job could mean sacrificing some of the safety net of a traditional full-time job, but if you really think about it, there is no safety in the job market. Taking your financial health and job security into your own hands actually empowers you to handle the unexpected more than you’d think. In a lot of ways, paying your dues on the corporate ladder is far riskier than creating your own benefits package. No matter where you go in your career, remember that your health and well-being are your own biggest benefits and that YOU are responsible for making sure you get those benefits. That’s where the biggest perk of remote work comes in: the flexibility to make work work for you. In a flexible job, whether you work remote, part-time, or self-employed, you’ll have the freedom to make your health a top priority, whether that means doing yoga every day at noon or working at a standup desk in a coworking space. If all of these steps feel like a lot to process, that’s because it is! Shifting the way you think about job benefits is a major change that will require some planning ahead (and probably some deep breathing). Download the free checklist below and start figuring out EXACTLY what you need to do to make a job without a traditional benefits package work for you. Ready for the new world of work, but lacking the skills you need to stay in-demand and always employable? Try a Skillcrush Web Designer or Web Developer Blueprint, where you’ll learn the tech skills you need to take control of your life (and your bank account!). Complete beginners are welcome. 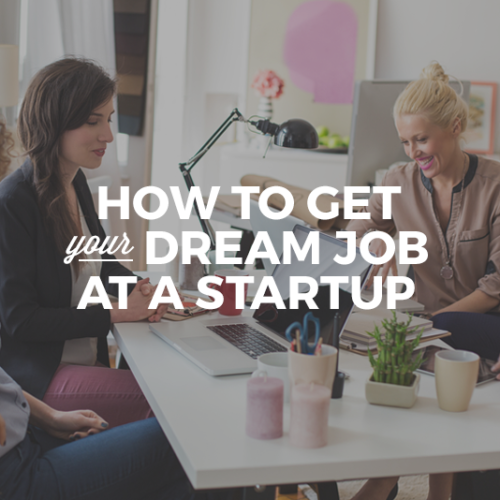 Or maybe you’re ready to level-up and vie for a promotion or a new side project? Try one of our advanced tracks, such as the Freelance WordPress Developer Blueprint. 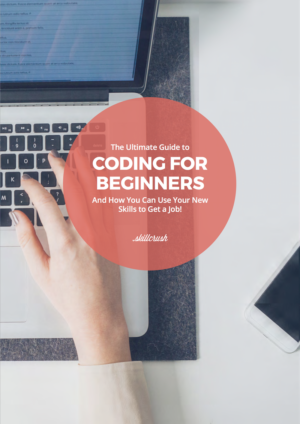 Prev: 99 Terms You Need To Know When You’re New To Tech Next: Is It Too Late For You To Learn To Code?